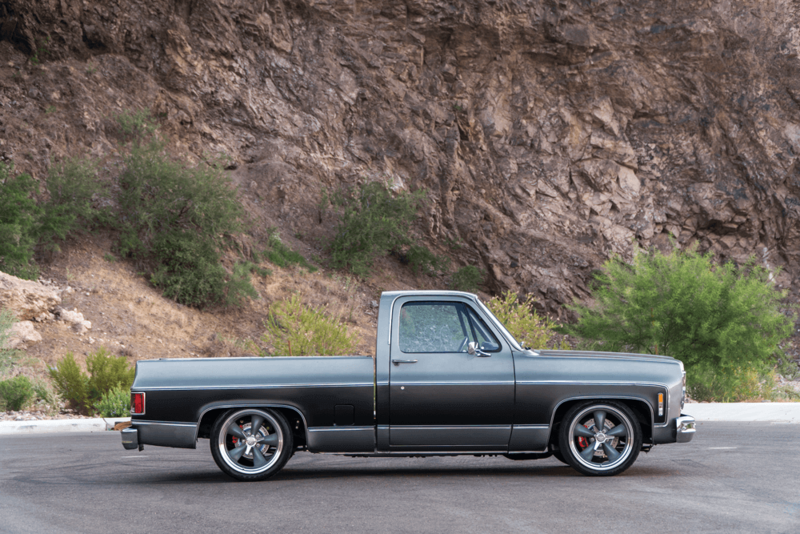 If you’ve spent any time in the truck scene at all, you’re probably familiar with Jeremy Rice, the man behind Tre 5 Customs in Peoria, Arizona. In addition to building some of the raddest rides around, he does a ton of tech work for print media. YOU CAN NEVER GO WRONG WITH A CLASSIC SET OF AMERICAN RACING VN215 TORQ THRUST IIS. 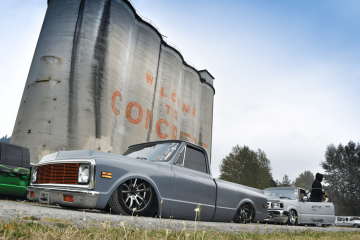 Our story begins with Jeremy’s friend, Cody, who was storing a ’79 C-10 square-body on his property for another friend. Jeremy got antsy seeing the truck languish in storage every time he stopped by for a visit. It wasn’t long before Jeremy started bugging Cody about getting his hands on the truck. It took more than five years, but Cody finally relented. Jeremy tracked down the titled owner, who explained that originally he had given the truck to his son, but unfortunately he’d moved on to pursue other interests. He also told Jeremy that he bought the truck from Bobby Unser Chevrolet (Avondale, Arizona) back in 1979. The truck originally had a six-cylinder in it with a turbo 350. The six-cylinder was swapped out for a meaner 350 from a 1974 El Camino around 1995. The truck also received new paint way back in 1997. THE AUTO METER GAUGES REALLY ADD STYLE TO THE INSTRUMENT PANEL. Now that Jeremy had the truck, and some history, he decided to give it a second life, which is when the truck started to give back. 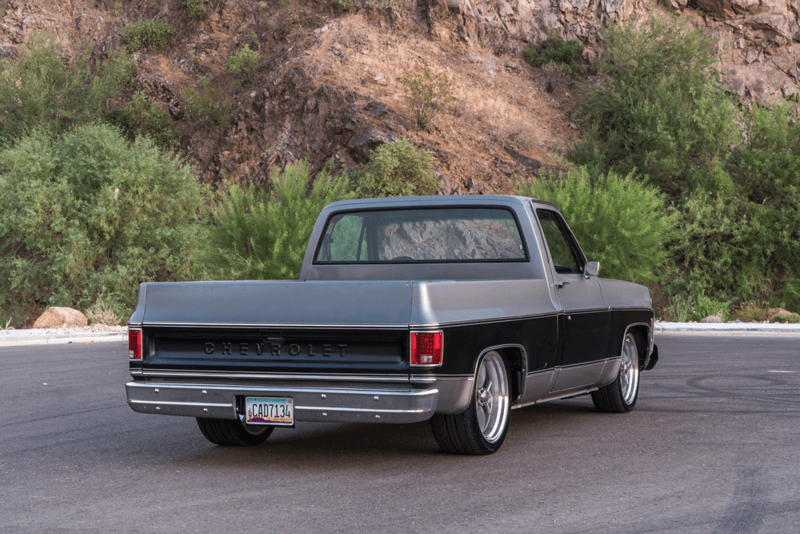 While Jeremy was working to rejuvenate the ’79, he gave all of us some great tech articles, which were featured here in C-10 Builder’s Guide and in our sister publication, Street Trucks. Jeremy started with the suspension, swapping out the worn stock control arms for CPP tubular upper and lower control arms, CPP modular spindles with a 2-inch drop and springs with a 2-inch drop. 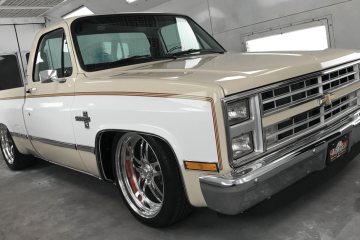 Out back, he installed a CPP rear flip kit, shackles, lowering springs, C-notch and shocks, giving the truck the stance that makes it a head-turner. 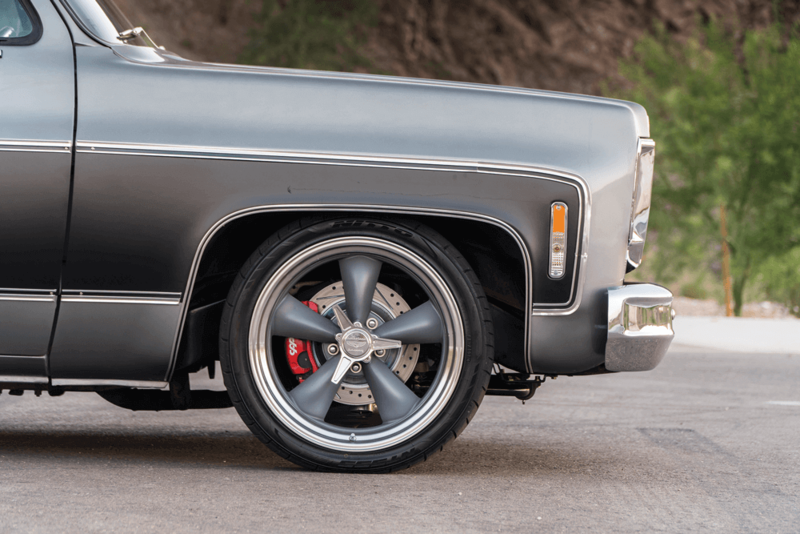 For rolling attire, American Racing’s 20×9 and 20×10 Torq Thrust II wheels were installed. Jeremy had John over at Total Auto Pros wrap a set of Nitto NT555 tires in 255/40R20 and 285/35R20 around the new wheels. BROTHERS TRUCK HELPED OUT WITH ALL OF THE EXTERIOR TRIM, BUMPERS, GRILLE AND LIGHTS. Jeremy took advantage of the suspension disassembly to upgrade the brakes to a full big brake kit from CPP. The front received the CPP 13-inch big brake kit, drilled and slotted rotors, and twin 52mm piston calipers. The rear received the CPP 12-inch cross-drilled and slotted rotors with CPP rear calipers. Jeremy also upgraded the steering and added a CPP steering box, CPP billet tie rod adjusters and a new power steering pump. Now that the truck rode and stopped the way Jeremy wanted it to, it was time to give the small-block 350 some love. 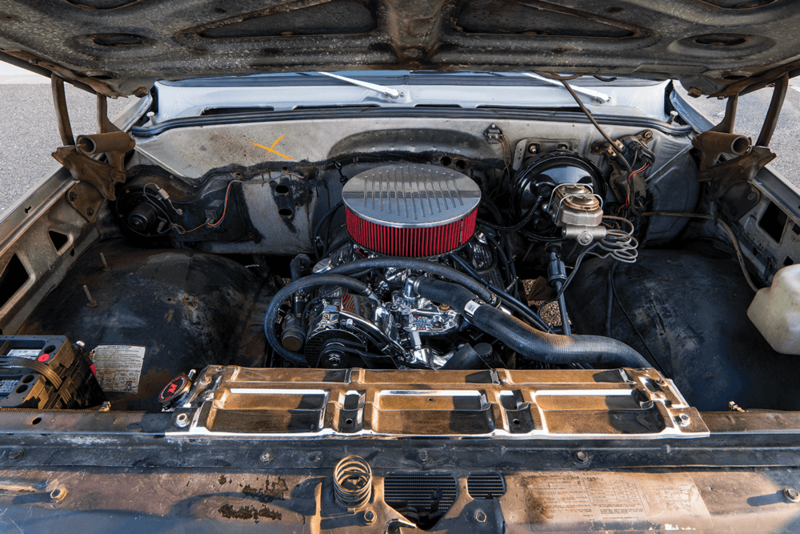 Summit Racing supplied a new Edelbrock water pump, intake manifold and Performer 600-cfm carburetor. Spectre provided an aluminum air cleaner housing, polished valve covers, engine pulley set, oil pan, polished aluminum timing cover and alternator to dress it all up. The motor looked good, but it needed to sound that way too, so Jeremy and the crew installed a Black Widow Venom 250 series muffler. JEREMY ADDED TMI PRODUCTS ITEMS FOR THE WIN. The interior was next (see the full story on page 86, “Superior Interior”). 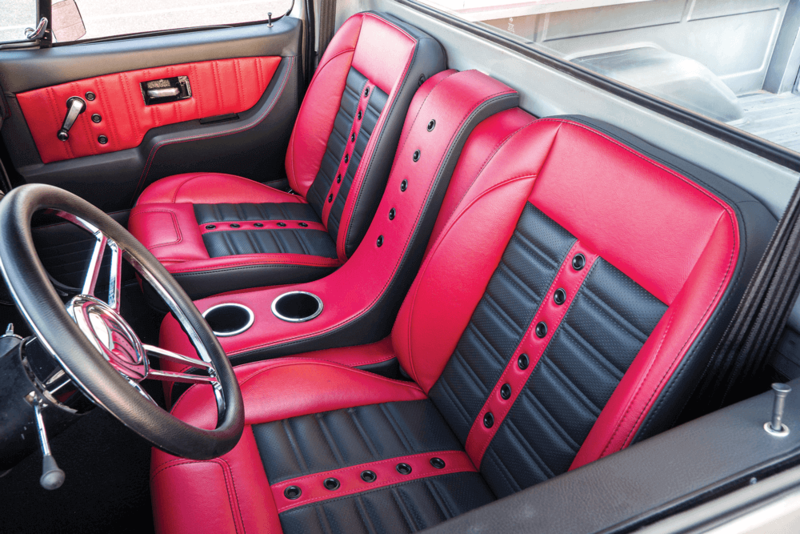 Jeremy and his crew installed TMI Sport X bucket seats, console, steering wheel, dash pad and door panels. A Brothers Truck carpet kit, seat belts, sun visors and headliner were also added to clean up the interior. 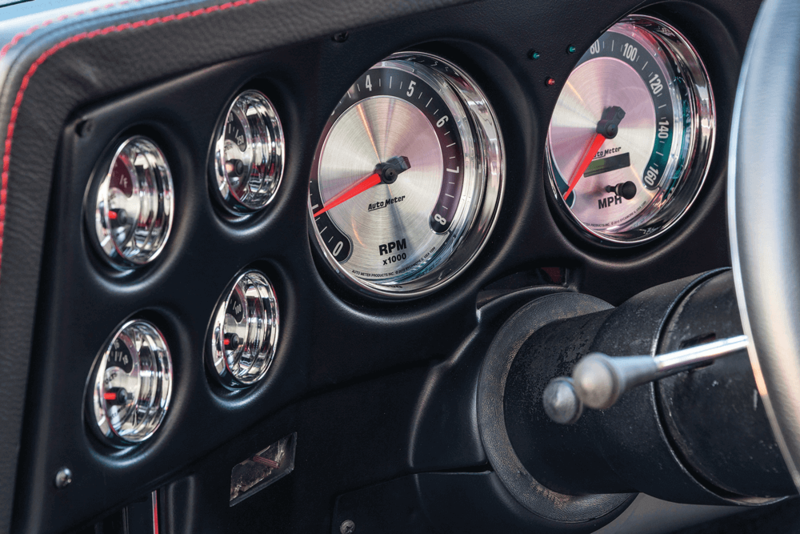 A set of Auto Meter American Muscle series gauges polished the truck’s cockpit and finished off that portion of the build. Jeremy and his crew shifted focus to the exterior to give the truck the final “wow” update it needed. He reached out to Brothers Truck for all new parts. New bumpers, grille, headlights, turn signals, taillights, mirrors, side moldings and tailgate moldings all found their way onto the truck once everything was said and done. Sealing up the truck was the final step for the Tre 5 crew. It had been baking in the Arizona sun for the last five years, which hadn’t done it any favors. Jeremy asked his friends at Select Glass for help installing a complete set of items from Precision Replacement Parts. A new front windshield and gasket, new back glass and gasket, new vent windows, and new roll-up windows with all new rubber and wipers sealed up the truck. Once Tre 5 Customs finished the truck, the crew knew they wanted to do something special with it, so they decided to raffle it off via social media. Jeremy sold 250 tickets for a chance to win the rad ’79 Chevy C-10. The best part was that Jeremy donated part of the proceeds to his friend, Ralston Cash’s, charity. (Ralston is a professional baseball player whom Jeremy has worked for in the past.) Ralston’s charity, Ralston Cash Foundation, provides gifts for children who have lost parents to cancer. This is where the truck gave its biggest gift of all. After all 250 tickets were sold (in fewer than five days) and a lucky winner was selected, Jeremy donated $4,500 to the Ralston Cash Foundation. 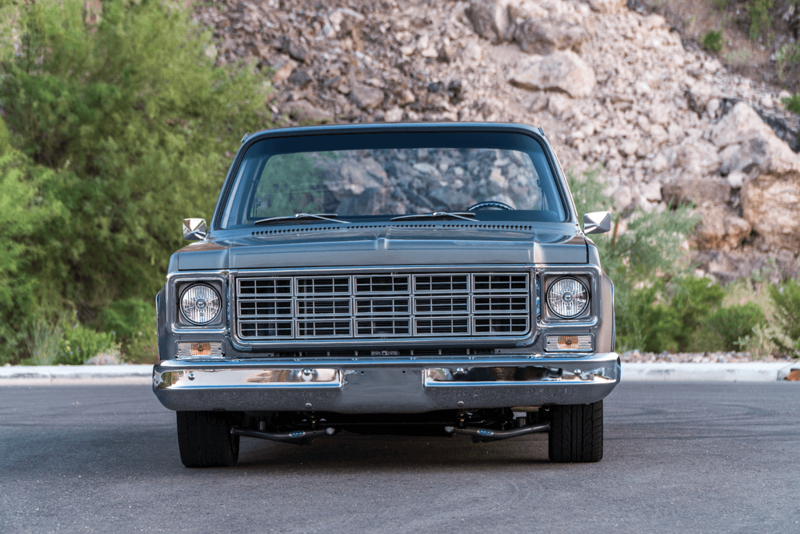 From start to finish, Jeremy and the ’79 Chevy have given back to their community, helping everyone from struggling driveway mechanics to kids in need. Job well done!